Today, this country house hotel is known as the home of Aberdeen and the shire’s only triple AA rosette restaurant. 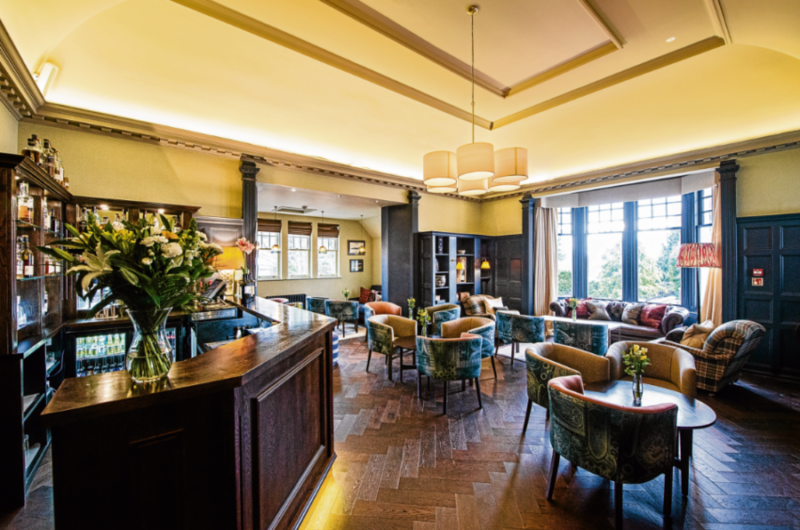 It’s the AA Hotel of the Year Scotland 2017/2018, and it just swept the boards at the Scottish Hotel Awards, winning the coveted Fine Dining Hotel and Hotel Chef of the Year awards. Yet Douneside House has a poignant story that runs to its very core. The lady of the manor was once the colourful Lady Rachel Workman MacRobert. An American geologist, she met the Aberdonian Sir Alexander MacRobert while sailing between India and Europe in 1909. Despite an age gap of 30 years, it was a love match, and the couple moved to Alexander’s country estate in Tarland, Aberdeenshire. 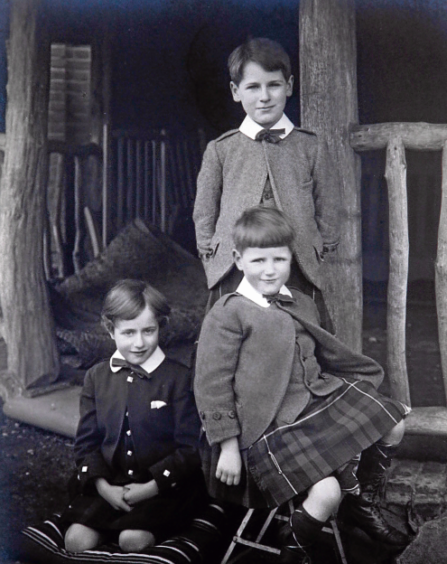 Three heirs were born – Alasdair, Roderic and Iain – and the house is full of portraits and photographs of the family, from children through to adulthood. 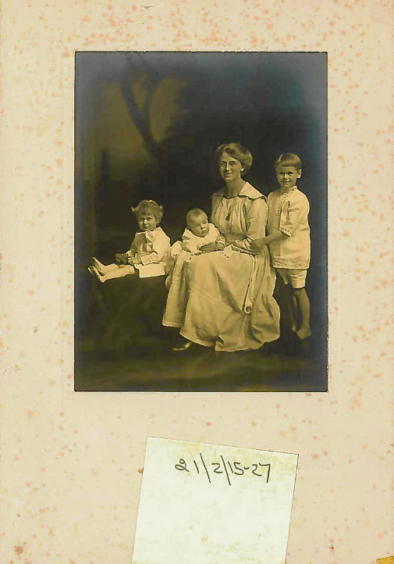 It appears to have been a relatively happy household, and even with Sir Alexander’s passing in 1922, it’s clear from the family photographs that Lady MacRobert’s love for her boys provided much comfort. From the late 1930s, tragedy crept in upon the family. In 1938, Alasdair was lost in a civil aviation accident. With the outbreak of the Second World War, Roderic was serving with No. 6 Squadron in Palestine. He was lost in action in 1941 commanding a detachment of Hawker Hurricane fighters in Iraq. Just over a month later, Iain, aged 24 and a commissioned officer in the RAF, was reported missing. His aircraft never returned from a rescue mission searching for a bomber crew known to have ditched in the North Sea. Misfortune and the Second World War had robbed Lady MacRobert of all three of her sons. The grief upon such swift and extreme loss is unthinkable, but Lady MacRobert’s public reaction speaks volumes. She took action by writing a generous cheque, enough to furnish the RAF with a bomber in the family name. £25,000 bought a new plane, with the request that it bore the family crest and, if possible, was piloted by a Scotsman. The Stirling Bomber was gifted to XV Squadron and named MacRobert’s Reply, and what a steadfast reply it was to the German Reich. The donation to the RAF wasn’t a one-off gesture. Several aircraft have flown in the MacRobert name over the years. The affiliation with XV Squadron only came to an end in 2017 when the squadron disbanded, and since then No. 6 Squadron has taken up the mantle. 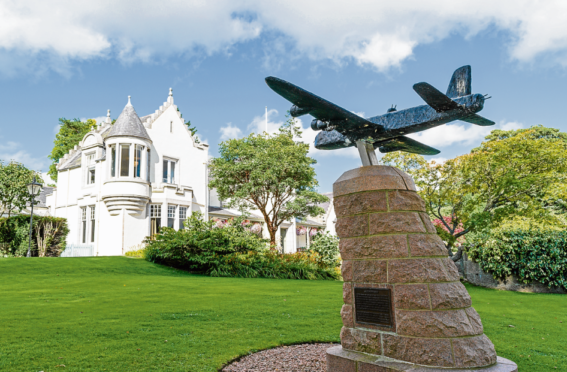 Echoes of the RAF permeate Douneside House itself, from photographs and mementoes of various MacRobert aircraft, to the contemporary bar decorated in the stylish blues and greys of the airforce. Even after death, Lady MacRobert ensured that her wealth assisted the armed forces. 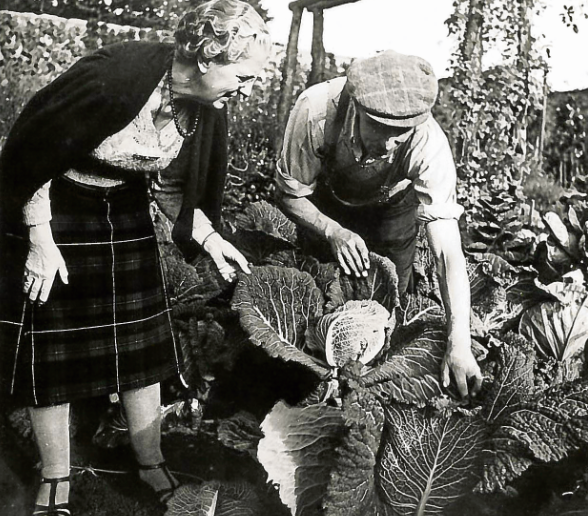 After her passing in 1954, the property moved into the care of the MacRobert Trust. It initially provided a country retreat for serving and retired military personnel, and these men, women and their families had exclusive use of the property for several decades; a rural idyll, a place to escape the stresses of military life. 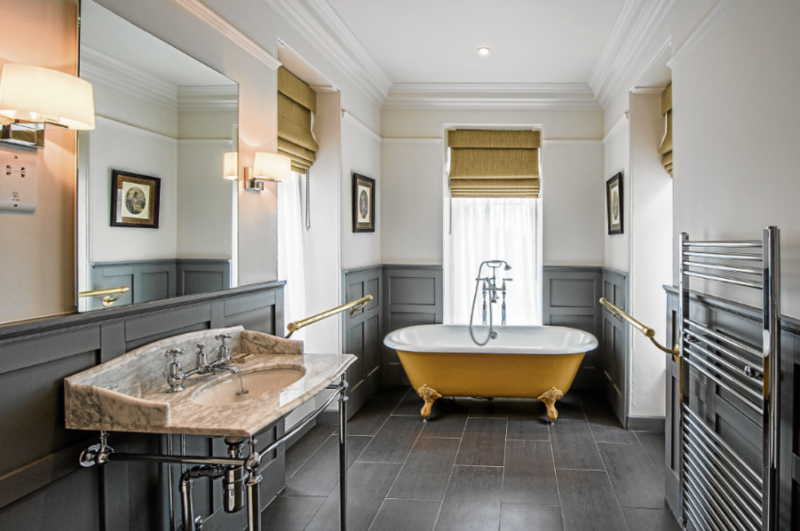 Then, in June 2016, Douneside House opened its doors as a luxury country house hotel in a move to protect its longevity. Generous discounted rates are still offered to the military: as a guest it’s not unusual to find yourself checking in next to a retired colonel, sitting next to a serving military policeman at the bar, or dining near an RAF pilot. Today, Douneside is an indulgent escape for all. Thirteen luxury bedrooms and a range of self-catering cottages are available, each accentuating traditional features, and contemporary furnishings. The hotel offers a health centre that includes a swimming pool, sauna, jacuzzi and steam room, as well as a games room and gym. The gardens are a huge draw and have been recognised as an RHS Partner Garden. Guests can explore an arboretum, terraced gardens, pool and stream-side gardens, walled garden, ornamental glasshouse, poly tunnels and 17 acres of lawn. The grounds have their own historical resonance: originally laid out by Sir Alexander and Lady MacRobert, they were predominantly shaped by the lady of the house until the mid 20th century. They reflect her interests and her role as something of a local trendsetter. The pool gardens were originally rock gardens (at that time there were only two others in Scotland), designed by the then famous Backhouse Alpine Nurseries. Today’s 10-strong gardening team works to maintain a sense of historical integrity, and it’s led by Stephen McCallum, once the head gardener of the renowned BBC Aberdeen television series The Beechgrove Garden. His crew successfully produces fruit and veg that make their way straight into Douenside’s kitchens. For guests interested in provenance and freshness, Douneside’s raw ingredients are discussed in food yards rather than food miles. This naturally leads to the greatest celebration in Douenside’s bittersweet story of love and loss. While its Second World War history is cherished and treasured, the estate is gaining a highly respected reputation for cuisine. Head chef David Butters is now garnering trophies and accolades for his innovative dishes. The hotel’s Six Course Tasting Menu is attracting foodies from across the Grampian Region and beyond, and the launch of an exclusive Dining Club is the latest food-inspired project. The inaugural Dining Club saw 12 guests come together for an evening of fine dining and conversation. The dishes included a Beetroot Ice Cream starter with candied walnuts, lardo and Granny Smith apples straight from the garden, a Wild Rabbit Terrine with the meat sourced from Sheridan’s of Ballater, a main of Assiette of Lamb from Alford’s Wark Farm, and a dessert of Nutmeg and Duck Egg Custard Tart with the eggs delivered straight from Katy’s Free Range Eggs in Lumphanan. The food story here is as rich as the military history. An evening at Douneside House is indulgent, but it leaves guests with a certain feeling of virtue, as the not-for-profit MacRobert Trust donated around £1million to charity last year. Tragedy can lead to darkness and bitterness, but Douneside has never forgotten its roots and it’s currently enjoying the sweet taste of success. For guests, this is about more than an overnight stay in a luxury hotel – the story of this country estate stays with visitors long after check out. It’s an emotive experience centring on family, love, pride, war and legacy.